AMD claims Navi will compete with Nvidia’s high-end… is it a more powerful GPU than we thought? AMD’s relationship with the high-end of PC graphics cards has been a strained one of late, to say the least. It’s been a good many years since the Radeon side of the graphics divide has been able to put up a top-end GPU that can compete with its Nvidia rivals in the upper echelons of the gaming market. There was hope, and hype, the Vega GPUs of last year would be the cards to change that, and for the months leading up to their launch we honestly thought there might be a chance it would happen. Sadly, the hype hasn’t matched up to the reality of the overpriced and underpowered RX Vega 64 and RX Vega 56 graphics cards. 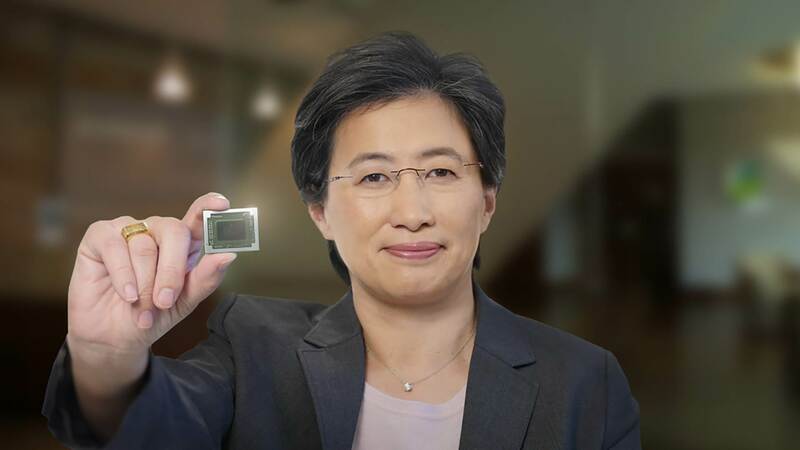 And that has, in turn, meant that Dr. Lisa Su’s continued claims that AMD will be competitive at the high-end of the graphics market have been met with a certain amount of skepticism. 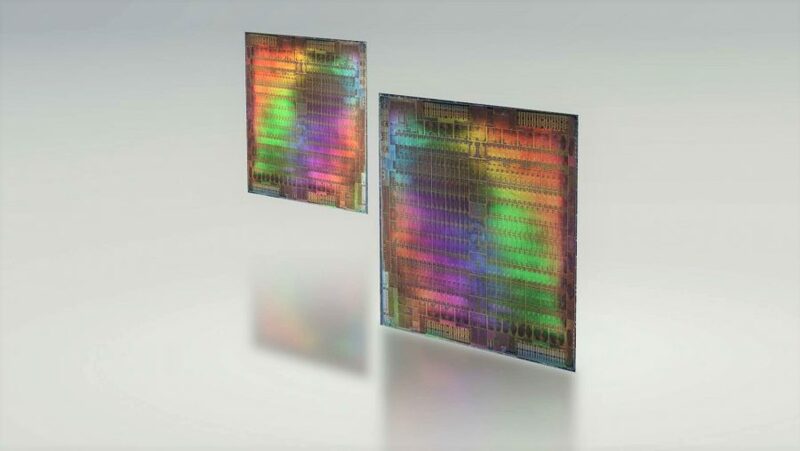 We’ve long expected that the next-gen AMD Navi GPU architecture will be a replacement for the existing mainstream Polaris silicon, but should we be listening a little closer to what the AMD CEO and her corporate execs have been saying? Back at Computex I sat down with AMD’s senior VP of engineering for the Radeon Technologies Group (RTG) to talk about graphics and where AMD was going in the future. He spoke about the good ol’ days where ATI and Nvidia would be trading blows at the top-end of the GPU market, with one or the other pushing ahead at any given time. I asked if that meant his goal for Navi was to get back to the days where now-AMD would be fighting it out with Nvidia for the top-GPU bragging rights, and he absolutely agreed. Which would be quite the thing, and somewhat counter to what we thought we knew about where the Navi GPUs are going to be positioned. From speaking with some of AMD’s add-in board partners at the same Taiwan show, we heard that Navi would simply be a direct replacement for the mainstream Polaris GPUs rather than an architecture which would slip in above Vega. To our mind that made sense, and fitted with all the rumours which had been swirling around the next-gen Radeon graphics architecture. But when AMD’s head of GPU engineering – not a marketing person – starts saying they’re aiming for it to be high-end graphics silicon you should probably start listening. Dr. Lisa Su is an engineer too. Sure, she’s now the popular CEO of AMD, presiding over one of the most positive periods in the company’s history since the Athlon XP days of yore, but she’s come from the engineering not necessarily the corporate side. And Dr. Su has since been doubling down on the expectation of high-performance Navi GPUs, both in an interview around its Q3 earnings and at the recent Credit Suisse Annual Technology, Media, and Telecom Conference. Then, a month later at the Credit Suisse event she again talks about AMD’s high-end GPU future. Now it’s entirely possible that in all of this AMD is separating out the gaming and AI-focused segments of the GPU market, using ‘high-end’ to signify the professional segment where it’s launching its 7nm Vega 20 graphics cards. They’re pretty competitive, so it could potentially make sense for AMD to be referencing those cards as its high-end offering, keeping the Radeon and Radeon Instinct GPUs separate in its thinking. So, is Navi a little more powerful than we thought it was going to be? We’ve been burned before getting over-excited about the potential performance of an upcoming AMD graphics architecture, so I’m wary of painting a Navi GPU out to be the saviour of the gaming side of the RTG. 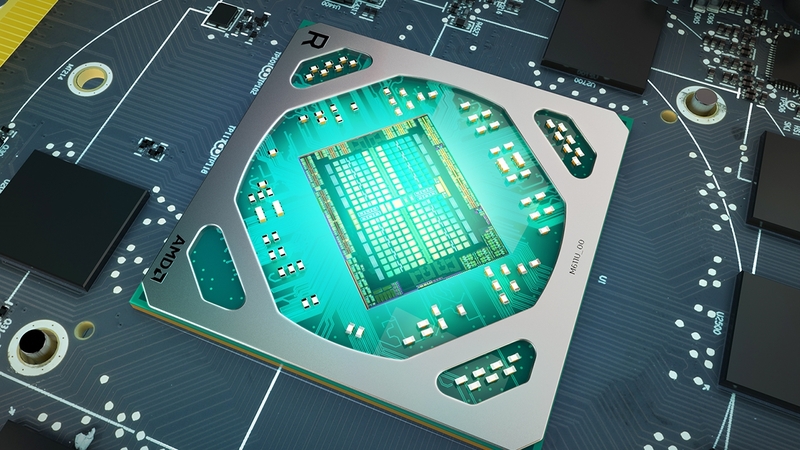 Whenever we’ve spoken to AMD’s AIB partners, and colleagues in the industry, the general consensus has been that Navi is going to be a 7nm mainstream GPU that will take the place of Polaris in the Radeon tech tree. 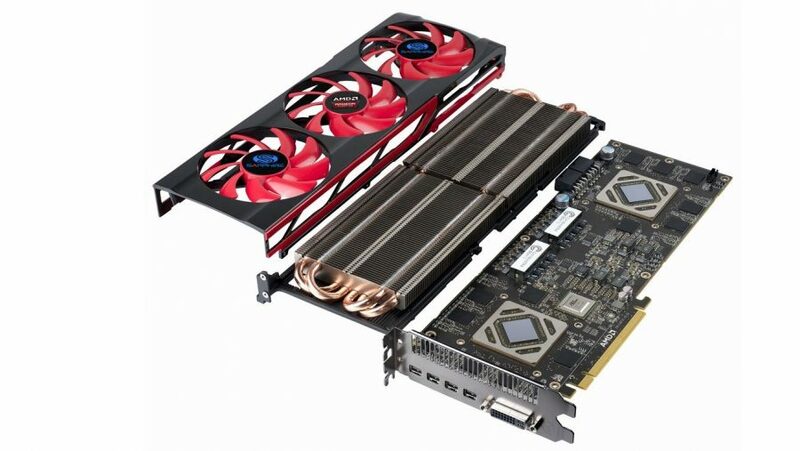 But that doesn’t necessarily preclude AMD from creating a high-end card capable of taking on Nvidia’s finest, both in terms of performance and cost. One Navi GPU on its own may not offer much to worry the RTX 2080, but AMD passim has the company creating mainstream single-GPU cards and high-end multi-GPU options. With the massive price hike that has accompanied the Nvidia Turing generation AMD could easily bundle a pair of $300 GPUs together into a single package that might make $770 RTX 2080 a little nervy. 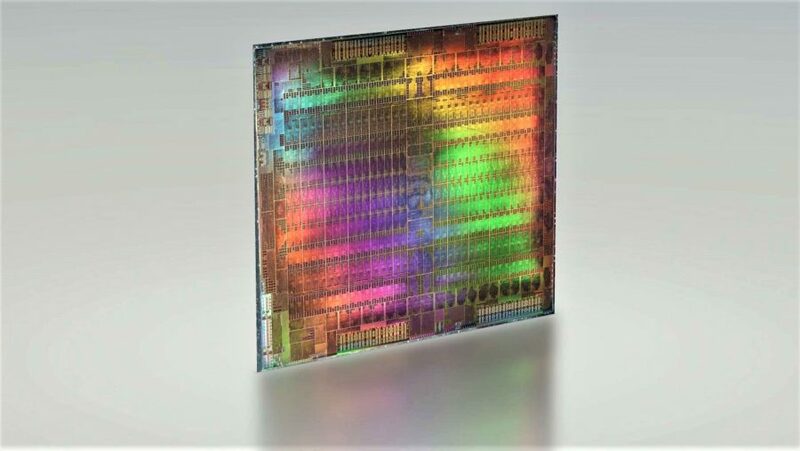 And if it wanted to create a real high-end Radeon Navi card it could use the xGMI peer-to-peer interconnect, introduced in the 7nm Vega GPUs, to pair GPUs together across an Infinity Fabric-based bridge, and then throw some seriously speedy memory at it too. We know that Navi is compatible with both HBM2 and GDDR6, as David Wang told me in the summer, so switching from the mainstream cards’ GDDR6 and putting a good chunk of high-bandwidth memory into the two GPUs could be fantastic. The counterpoint to this, however, is that CrossFire and multi-GPU gaming in general isn’t that popular right now. It’s tough getting DX11-based game devs to spend the time, money, and energy getting their games working with more than a single graphics chip. And also few titles have actually made the switch over to either DX12 or Vulkan where multi-GPU a little more successful. But what about a gaming version of the 7nm Vega 20 GPU? That I’m less convinced about. There are some who fervently believe AMD will be unveiling a high-end 7nm RX Vega GPU in January at CES, but with the architecture’s reliance on HBM2 I doubt even the die-shrunk version of Vega would be able to deliver enough gaming performance to justify its inevitably sky-high price tag. So, while I still think Navi will be, for the most part, a mainstream graphics architecture, there are definitely things AMD could do to introduce a genuinely competitive high-end package to the market. And that would definitely make this business fun again.